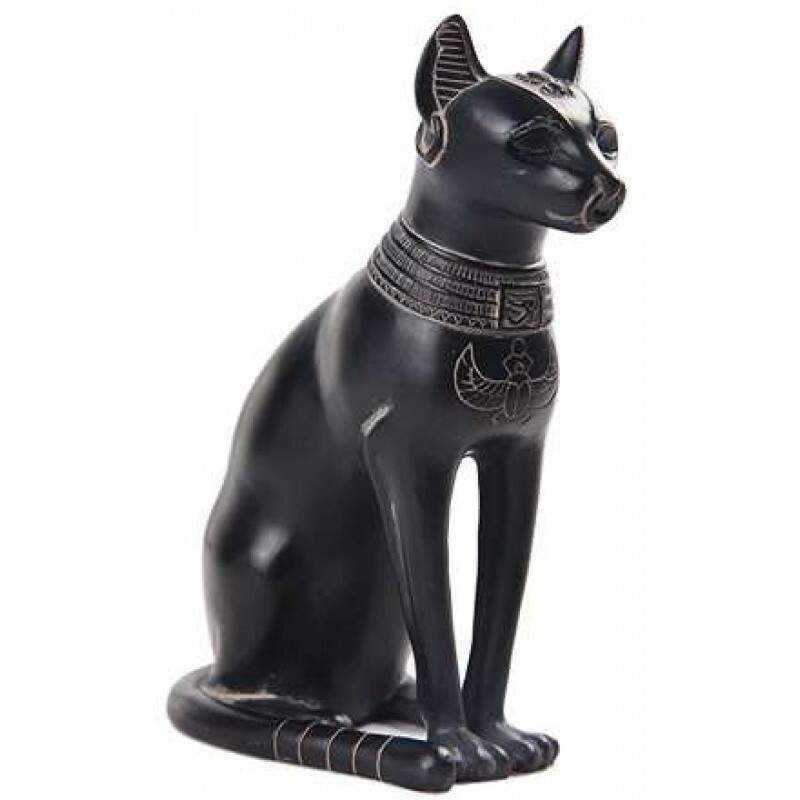 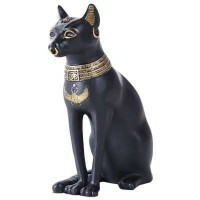 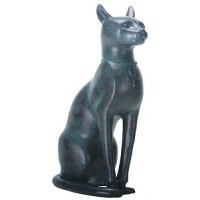 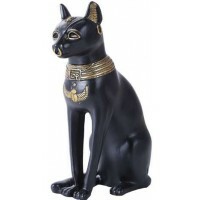 Based on a statue of the cat Goddess Bastet found at Saqqara, this 8 inch high statue has a great, black basalt finish. 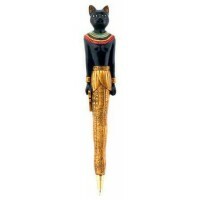 Made of cold cast resin, this stunning 8 inch tall statue of Bastet has a black basalt stone finish. 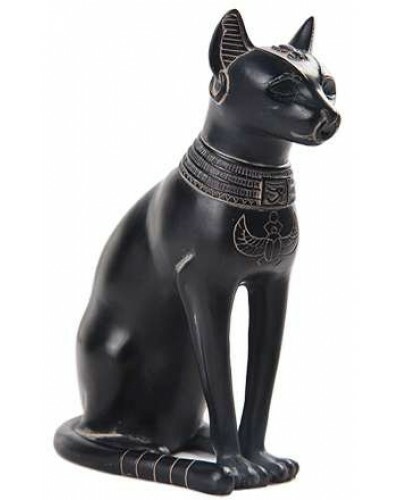 It is inspired by the famous Gayer-Anderson bronze cat statue, which was found in Saqqara, Egypt and is dated to Late Period Egypt, circa 600 B.C. 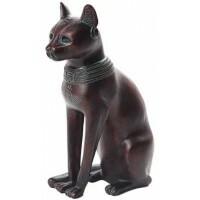 Item Number: PT-10250 | Approximate Size (Inches): 6.75 wide x 3.25 deep x 8.00 high | Approximate Shipping Weight: 1.50 lbs.